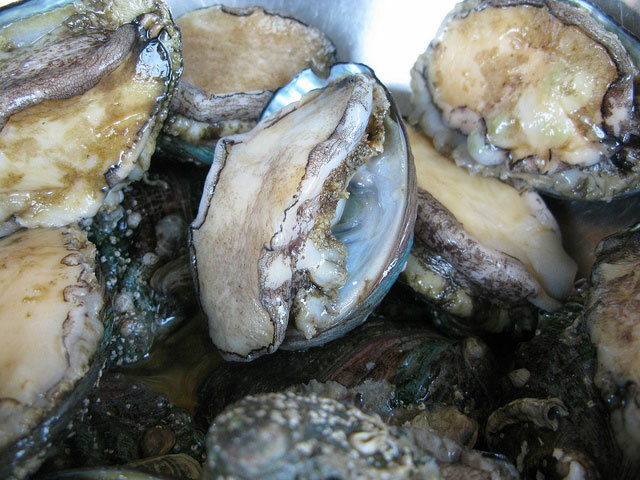 Abalone, near endangered, once enjoyed by our parents…what will we pass on to our kids? The next time someone asks you to drive less or recycle, try not to think about how much that annoys you. Instead think about the world that your children or grandchildren will live in. Will it be better or worse than the one you enjoy now? Many signs are pointing to it being worse. One of those indications comes from an article in the San Diego Union-Tribune discussing the incoming extinction of Abalone on the West Coast. ..baby boomers who grew up peeling them off rocky outcroppings so that the practice became part of California beach culture. “You used to be able to get an abalone sandwich for lunch when I first got here in the early 1970s,” Butler said. I’ve never eaten an Abalone or even seen one. Am I already a part of that generation experiencing a worse world? Abalones were a staple of coastal life for centuries — a nearshore fishery once topped 5.4 million pounds — until they were all but wiped out by disease, overharvest, predatory otters, poaching and habitat destruction. By 1997, state officials had shut down all abalone fisheries south of San Francisco in hopes of saving the species. In many ways the answer is yes, the environment passed down to me is worse than it was before. The good news is that the solution defies generations. It requires the passion and motivation of young scientists combined with the wealth, political policies, and experience of older, often retired, specialists and philanthropic individuals. The National Marine Fisheries Service recently formed a task force to save the black abalone, which was listed as federally endangered in 2009. A recovery plan is expected in about two years, though scientists said it’s complicated by poaching in the United States, limited harvest enforcement in Mexico and the potential that climate change will speed the spread of disease in the population. There is still an abundance of hope, but first we must overcome our balking at minor inconveniences.